Xiaomi, the so-called “Apple of China,” is looking to raise money at a valuation between $US40 and $US50 billion. The discussions are still at an early stage, but it’s still impressive considering Xiaomi is a 3-year-old company that’s also the biggest smartphone maker in China and the fourth-largest smartphone maker in the world. 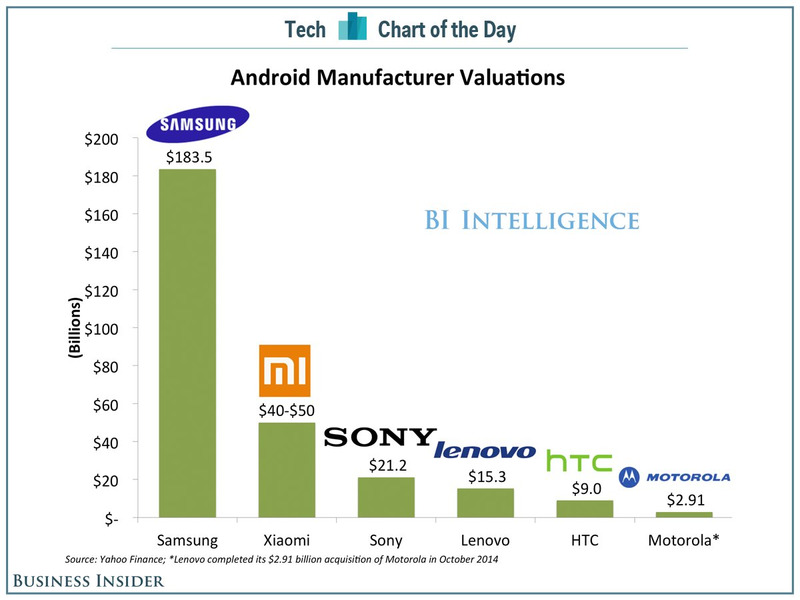 Compared to other Android manufacturers, Xiaomi’s proposed valuation would put it ahead of most of the field, but it would still trail Samsung by a great margin. 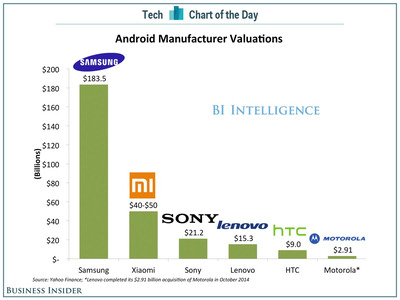 Based on Yahoo Finance data charted for us by BI Intelligence, Xiaomi’s potential value would still be a fraction of Samsung’s valuation of $US183.5 billion. Xiaomi might catch up or pull ahead, though, now that Samsung’s profits are tanking and the company is being squeezed from the high end by Apple and the low end by Xiaomi, Lenovo, and others.